The extremely high accuracy inherent in Setra’s proprietary variable capacitance ceramic load cell is now available in Quick Count, a moderately priced, easy to use counting scale. 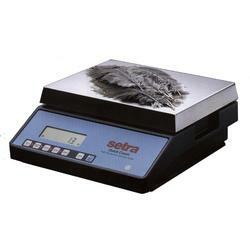 All scales convert to any of six weighing units at the touch of a button. Count or weight information can be transmitted to a printer or to a computer via the standard RS-232 serial data interface. Integral overload and shock protection combined with an elegantly simple load cell design makes the Quick Count rugged, reliable and accurate. Also, its affordable price make it an exceptionally good value. Programmable RS-232 output with Script-Coder™ allows a custom label design to be printed to a thermal label printer. Bidirectional data communications allow piece weights and commands to be downloaded from a computer. Serviceability. 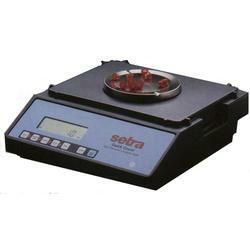 Thanks to a modular design, Quick Count scales can be serviced on-site by an Authorized Setra Service Technician. Stability indicator displays an ‘OK’ icon to confirm that the scale is stable and weight measurements are accurate. Large LCD display for quick and easy reading and increased productivity.